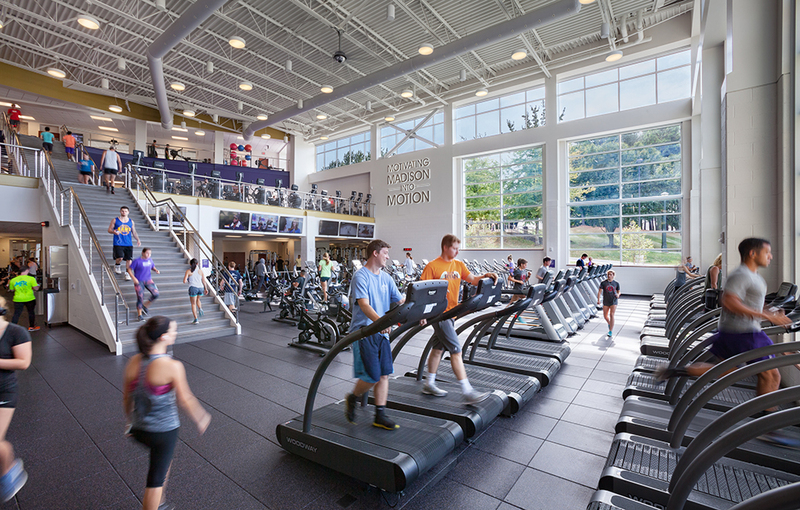 Hastings+Chivetta worked with James Madison University (JMU) to develop a significant addition and renovation to their University Recreation Center. 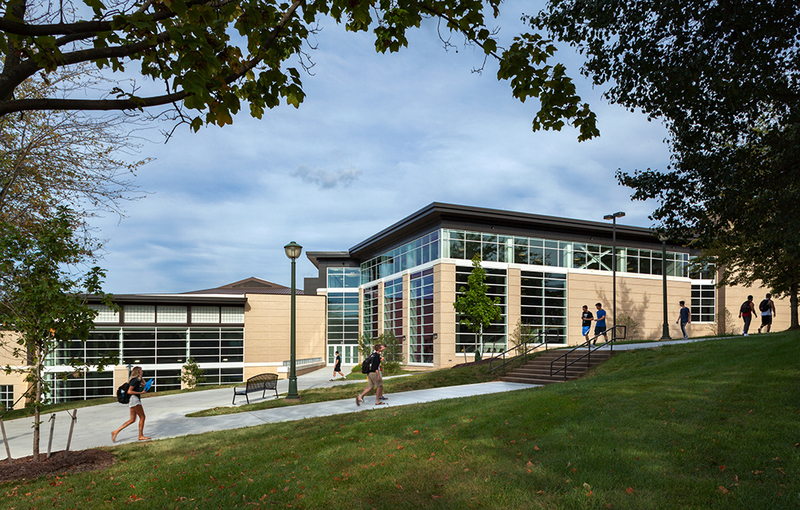 The original recreation center opened in 1996 and was designed to accommodate 12,500 students. 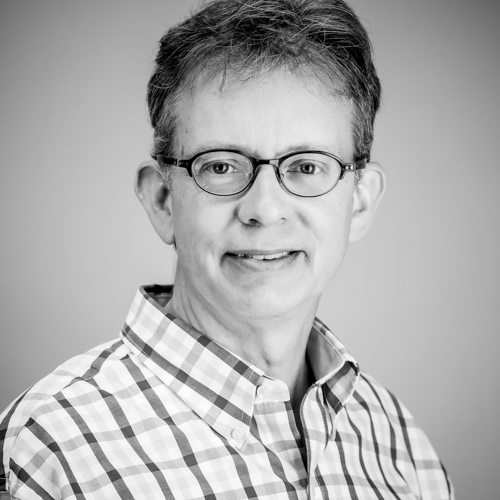 With enrollment approaching 20,000, space was at a premium, and the facility was not able to serve the entire student population. 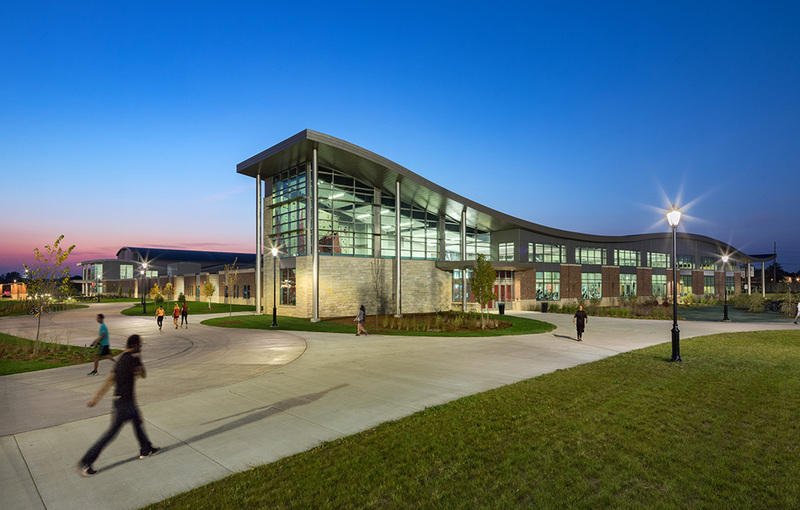 Hastings+Chivetta met with administrators and student user groups to determine program needs to ensure the updated facility will accommodate today’s needs as well as future students. 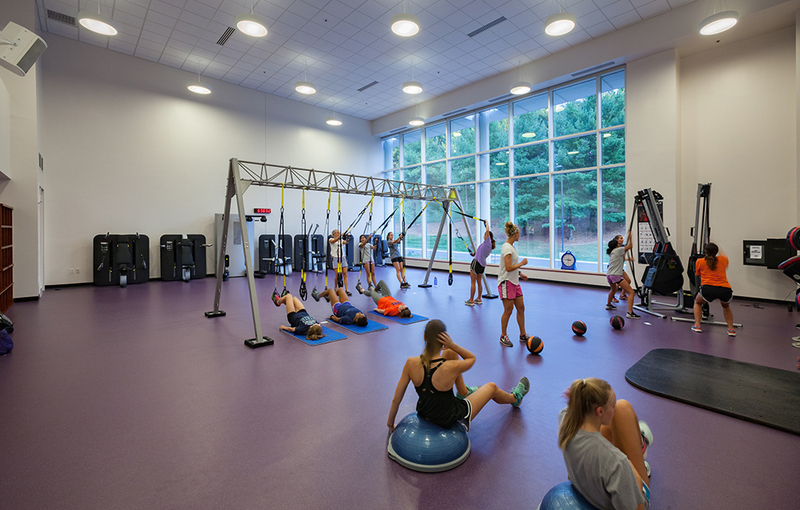 The expanded facility provides students, faculty and staff with new opportunities for recreation, wellness and socialization. 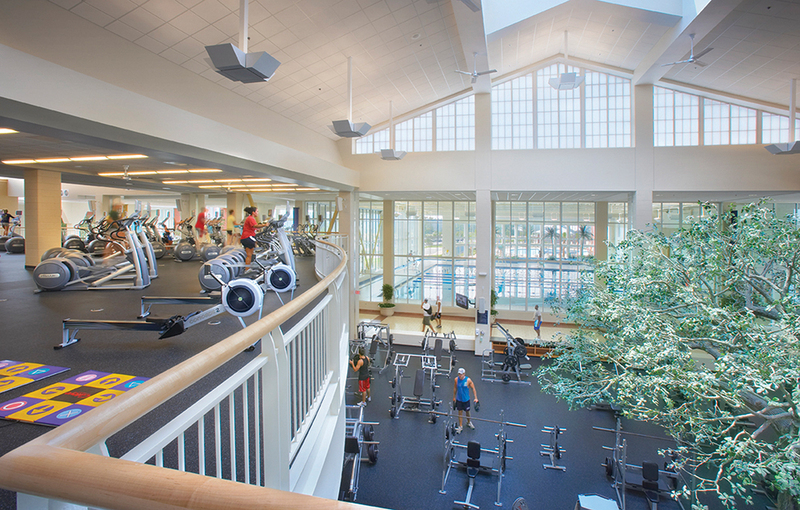 The addition includes weight, fitness and cardio spaces that are 2 1/2 times the size of the current spaces. 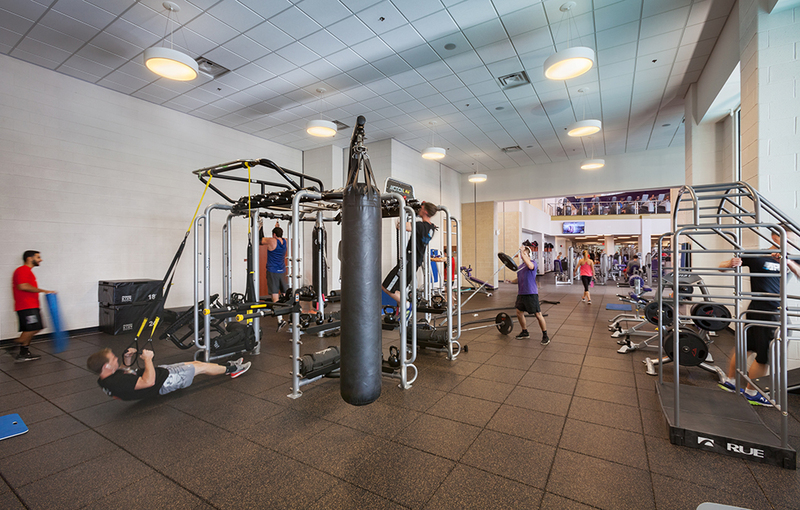 Five group fitness studios provide the university flexibility to accommodate cycling, mind-body classes and general use. 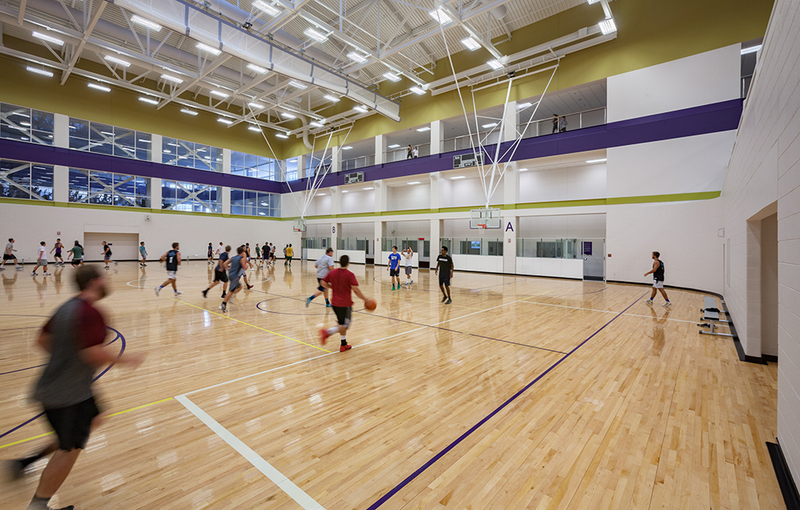 The facility adds two multi-activity courts and a two-court recreation gym, as well as a 1/6-mile four-lane running track. 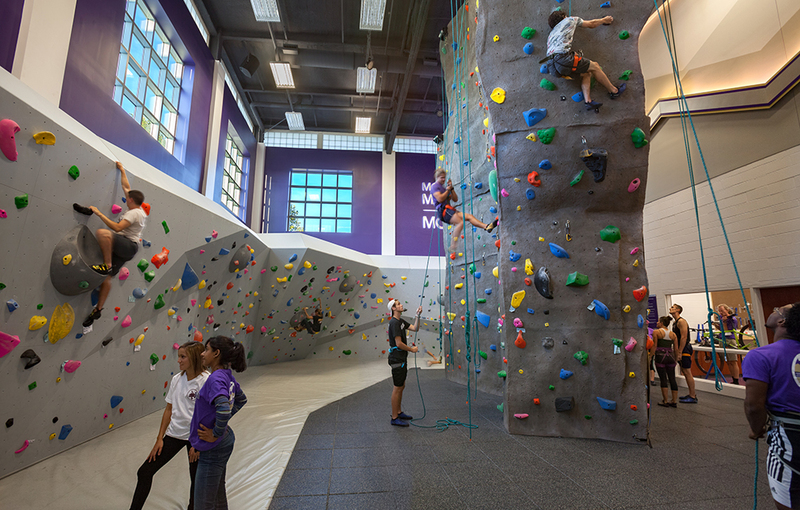 Other spaces include a wellness suite with assessment and training spaces, an outdoor adventure sports area with a climbing wall and an instructional pool with a current channel and a whirlpool. 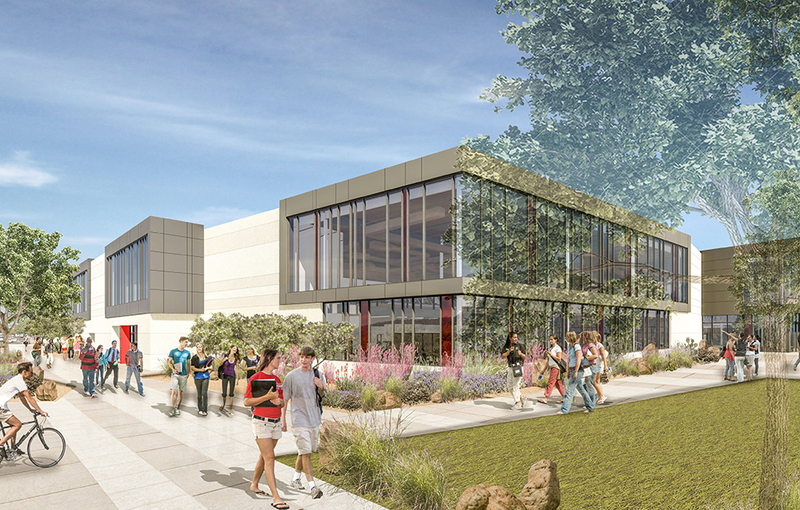 The new spa is four times as large as the previous one, and features rocks and a waterfall. 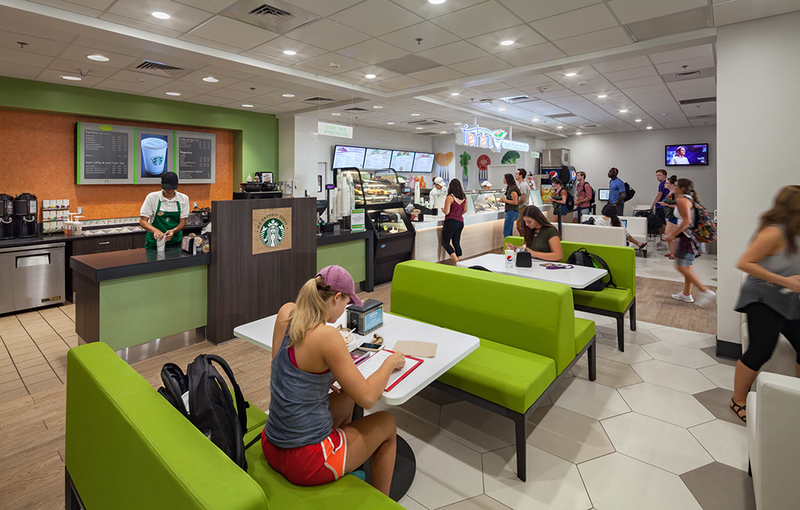 The renovation adds a demonstration kitchen, wellness instruction room, wellness suite with massage, personal training and small group fitness studios. 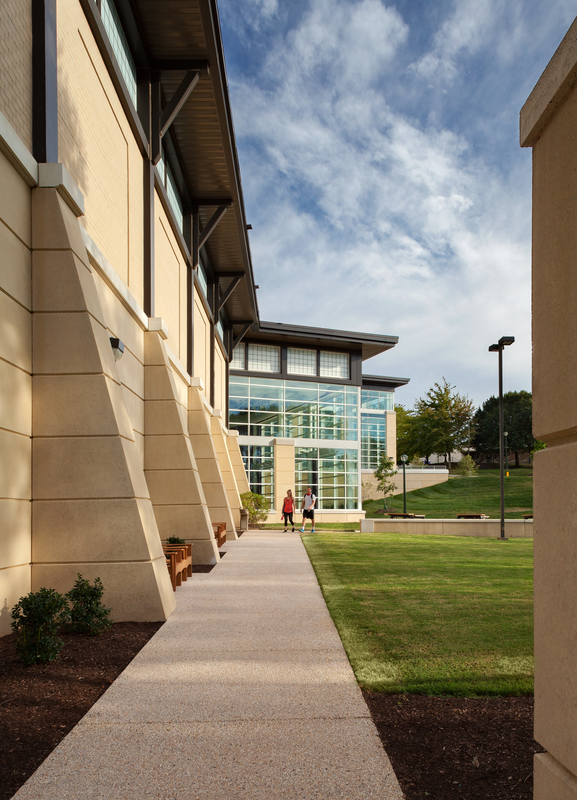 The facility also includes a instructional and meeting space equipped with state-of-the-art technology that can accommodate groups of 200. 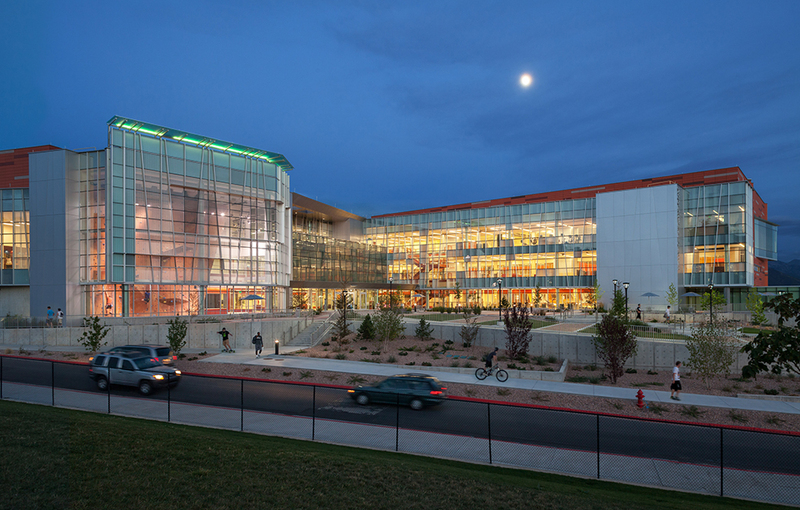 The new building is certified LEED Silver. 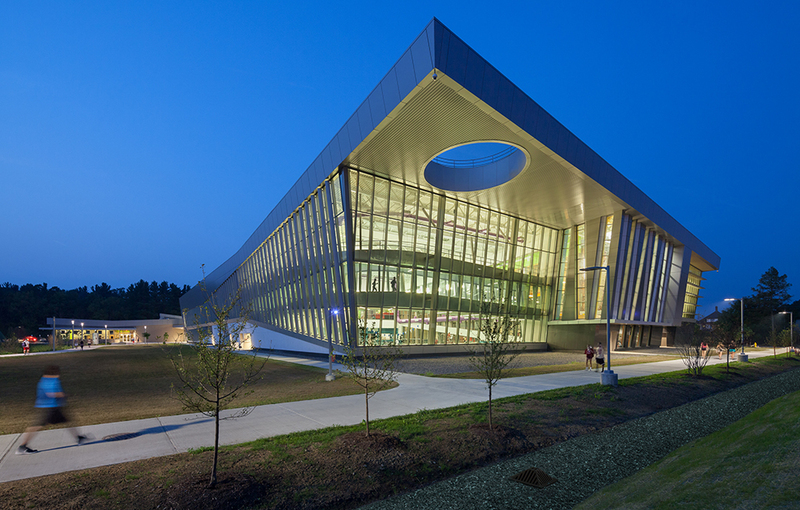 Sustainable efforts include recycling the lower turf, reusing field lighting in other university locations, reusing soils and natural resources and extensive use of natural light.